The Priceza E-Commerce Awards 2017 has been a widely awaited event for the E-commerce industry of Southeast Asia. Held on 22nd November, the yearly ceremony aims at recognizing and awarding the online businesses that have been instrumental in bringing positive changes in the E-commerce industry in Thailand. And, in doing so, the Priceza E-Commerce Awards brings together the recognized industry leaders and local online retailers on one platform, making the program a one of a kind event for sharing knowledge and predicting trends for the coming year. 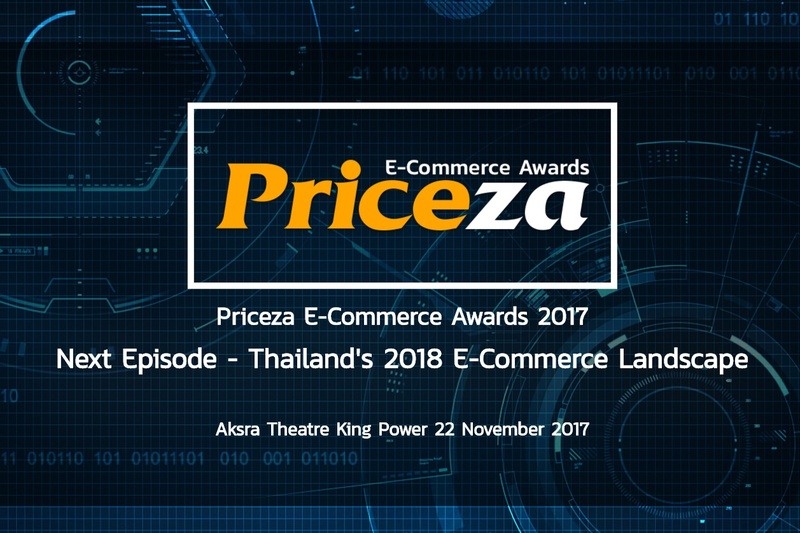 Here are the key trends of E-commerce, Logistics and Payments for 2018 that came up during the Priceza E-Commerce Awards 2017. With experts present from almost every notable E-commerce business in Thailand, it is only but natural, that E-commerce Trends for the coming year was one of the most crucial point of discussion at the event. With Mr. Thanawat Malabuppha, CEO and Founder, Priceza starting the day’s discussion by reminding the attendees of E-commerce’s growing value in the country, experts from Tesco Lotus, GroupM, Shopee and Nasket voiced their opinion on what to expect in 2018. As per the experts, in 2018 more and more brands are going to enter the E-commerce space. Following the trends of mature E-commerce markets, brand.com is going to become a significant trait of Thailand E-commerce market. 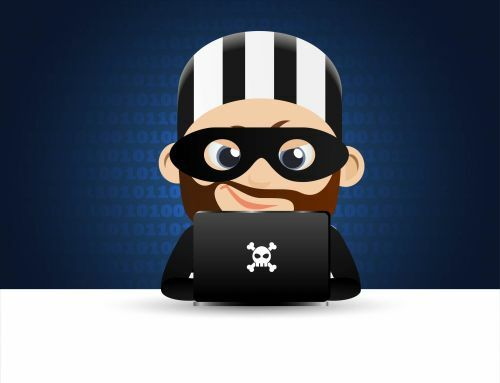 However, solely selling their products online is not likely to their only agenda. Creating stronger online presence, ensuring better customer engagement and collecting more consumer data are likely to be important goals for brand entering the online space. 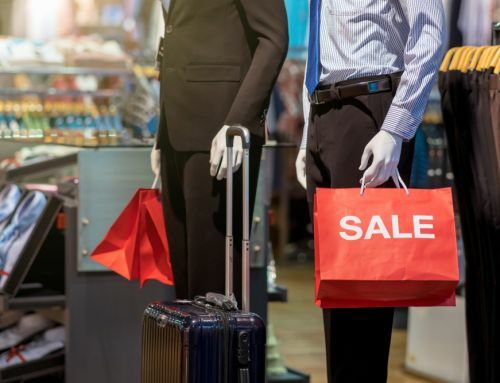 Another notable trait of 2018 will be the popularity of C2C E-Commerce. Wide popularity of social media such as Facebook is the propelling force behind this trend. While social commerce has been a wide spread for quite some time, the trend is most likely to pick up pace in the coming year. 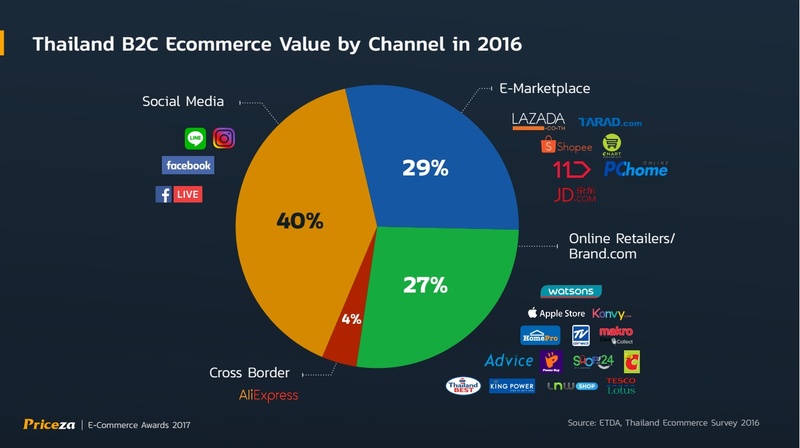 With brand.com and C2C becoming more widespread, the Thailand E-commerce market in 2018 will get even more competitive than it already is. While competition will definitely increase in the online space; brick and mortar will also stay its ground. This can mean only one thing, that customers will expect a seamless shopping experience across channels. The customer will have more choices than ever. And when s/he is going to make a purchase, the retailers will have to create a smoother purchase process to secure the sale. 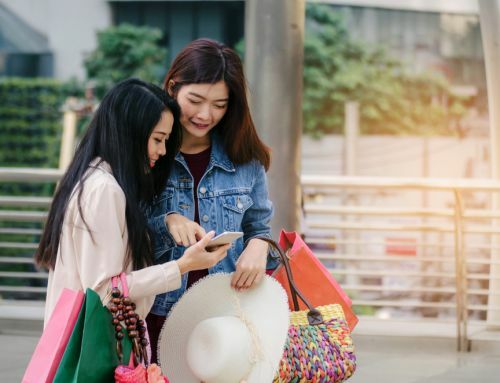 With sales being initiated online and closed in the physical store and vice versa, E-commerce retailers will have to create a seamless customer experience across channels to capture and retain consumers. Thailand E-commerce market is already pretty price sensitive. The growing competition will only translate into more discounts and lowering of prices. The scenario will make it essential for E-commerce businesses to reduce cost and make their marketing and sales strategies more data driven. 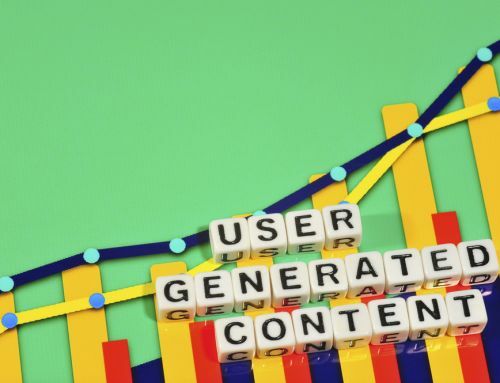 Businesses are likely to gather more and more consumer data and utilize the same to generate in-depth understanding of consumer behavior and purchase patterns. E-commerce cannot happen without logistical support. And this is why, the growth of E-commerce is closely related to the growth of logistics industry. Thus, understanding the dynamics of E-commerce is crucial for success! During the Priceza E-Commerce Awards 2017, experts from leading logistics companies such as Shippop, Lalamove and SCG Yamato Express came together to predict the key trends for logistics in 2018. Consumers want the products to reach their doorstep faster. Hence, the demand for on-demand delivery such as a One-Day Delivery and Night Time Delivery are on rise already. With increased competition in the E-commerce sector, faster delivery will become one crucial edge that businesses cannot afford to ignore. Keeping this in mind, E-commerce businesses will definitely go for logistics companies with wider networks (to reach suburban areas) and faster service records in 2018. 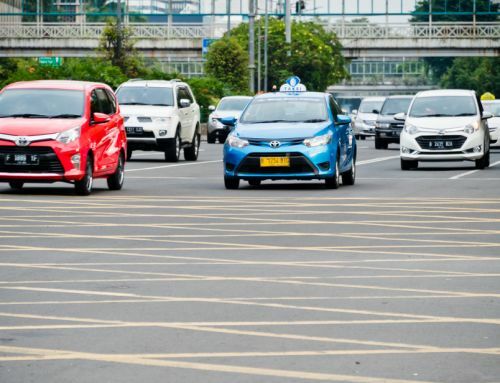 While futuristic delivery options such as drone delivery is already happening is Western countries, Govt rules and regulations in Thailand prevent such options such as drone delivery. However, with increased demand for fast yet cost effective options, logistic companies as well as E-commerce businesses are most likely to push for changing if these rules and regulations. Until very recently cash was the most prevalent mode of payment in Thailand. With low credit card usage rate, Cash on Delivery (COD) was the pre-dominant payment method for E-commerce. However, the scene is changing! Experts from Airpay, M-Pay, Paypal and KBank discussed about the future of E-commerce payment in the event. Payment wallets are secure, easy to use, helps one send and receive payment with their fingertips. It is no wonder payment wallets are getting huge popularity in Thailand. 2017 saw very little growth in the rate of E-commerce consumers using COD. Whereas, the rate of online payments using payment wallets are growing at a steady pace. The trend will continue in 2018 as well! Today there are a number of E-Wallets in Thailand. And, thus, the consumer base is pretty scattered. 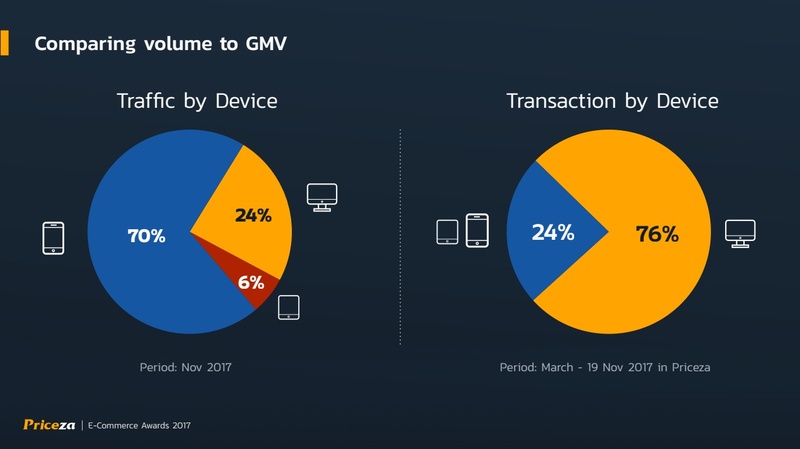 With increased use of E-Wallets in 2018, the industry is more likely to enforce uniform rules for safe governance and increased security.